Beautiful moon bear Jammy walks her enclosure looking for food. Jammy was kept on a farm as a pet, but was going to be killed for food. 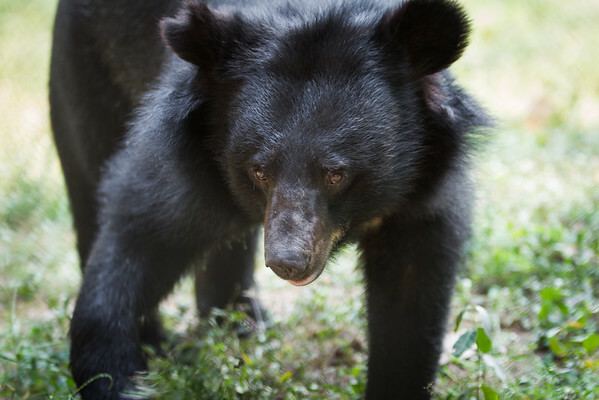 Luckily the WFFT rescued her first, and she is now living happily integrated with her moon bear friends.